Construction-related changes at one Reagan National Airport arrivals terminal have local taxi drivers fuming, and they argue airport officials are ignoring their complaints while catering to ridesharing services like Uber and Lyft. 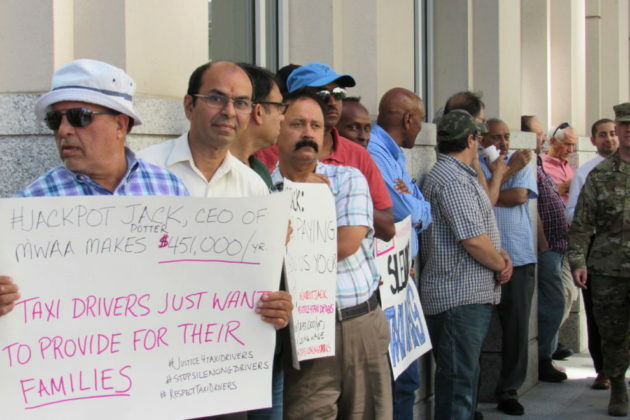 Dozens of drivers serving the airport have begun leading protests outside Metropolitan Washington Airports Authority meetings in Crystal City, with the most recent demonstration coming last week, in order to force attention on the issue. 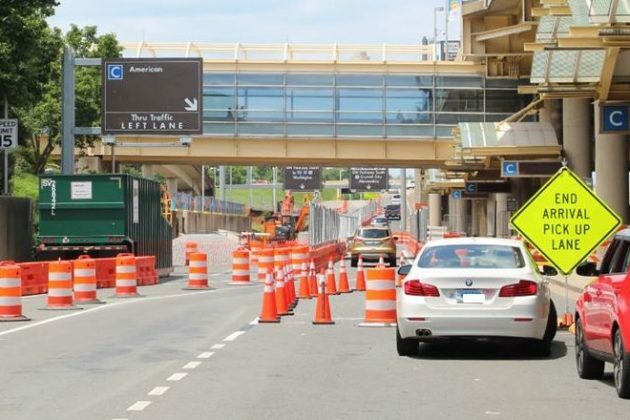 Backed by the National Airport Taxi Drivers Association and progressive organizers with New Virginia Majority, the drivers are urging the airport to change how it’s managing construction work that’s necessitated lane closures at its arrivals area for Terminals B/C. With less curb space available, they say taxis are getting squeezed out by Uber and Lyft drivers, with cabs unable to leave their taxi stands in a timely fashion due to the increased traffic. Ergete estimates that some drivers have seen as much as a 40 percent dip in earnings as they increasingly jockey for curb space with rideshare drivers, though he would concede that taxis have seen ridership declines for years now as Uber and Lyft have gained popularity. Still, he’d rather see rideshare customers shuttled off the premises to meet their drivers, who already have to stage in a nearby parking lot as they wait to accept rides. Saull also pointed out that taxi drivers already have double the curbside pickup space at the arrival terminal compared to rideshare drivers, and that the MWAA levies a higher fee on airport trips by Uber and Lyft than it does for taxis. But Ergete believes the MWAA is still overly deferential to the companies, as demonstrated by the refusal by its Board of Directors to discuss these complaints at any of its meetings. Saull is urging drivers and passengers alike to simply “hang with us until the middle of next year,” when construction work at National will move inside, and the arrival lanes will reopen. Yet Ergete fears the damage inflicted by the current setup may prove to be irreversible. Ask Eli: What’s Driving Arlington’s 2018 Condo Growth?